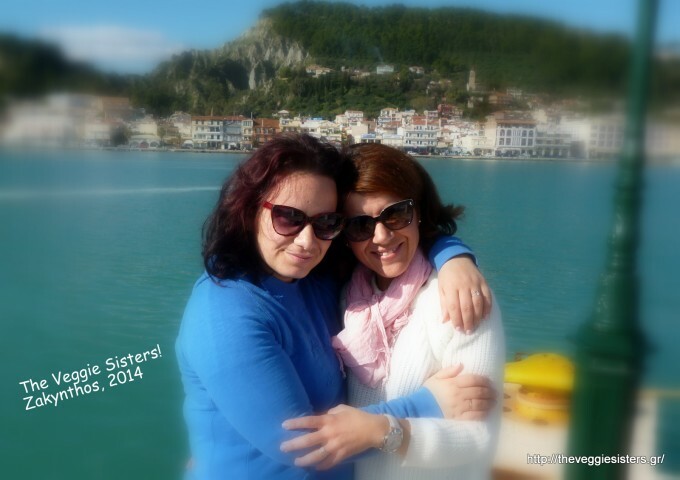 A few days ago my dear sister, Dimitra, came to visit us at Zakinthos. We decide to make the dessert for the Christmas menu together. I always have fun cooking with her, but unfortunately this rarely happens since we live in different cities. Anyway, we were thrilled by the result and our husbands approved of the cake and really enjoed it. 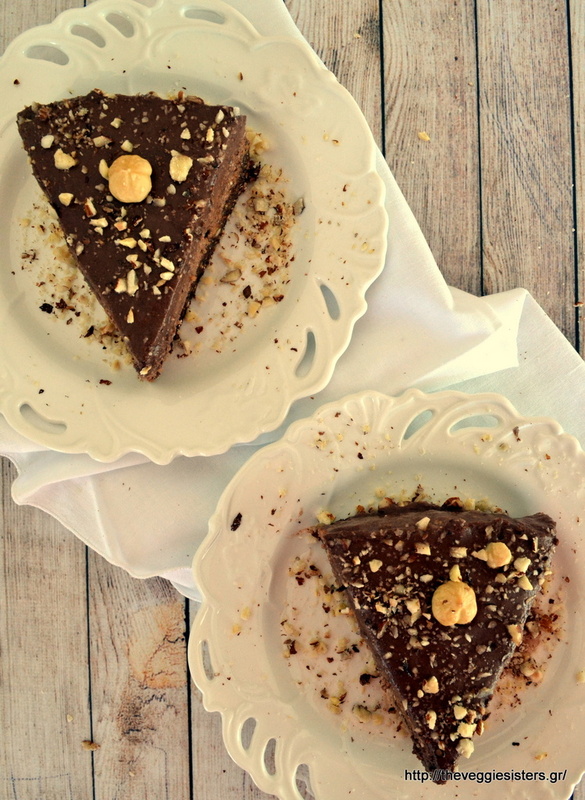 So here you are: we are making a decadent chocolate hazelnut cake that no one will guess that is vegan! Let that be your secret! We advise you to make it at least one day before so that it sets better. Pulse hazelnuts in a blender until perfectly ground. Add oats and then dates. Pulse again. Finally add cocoa, milk, syrup until well combined. Press this mixture into the bottom of a springform tin and put it in the fridge. Pulse hazelnuts in a blender until ground to flour. Add milk and syrup and pulse again. Work on batches if the blender is small. Melt chocolate in a baine marie. Add coconut cream and stir. 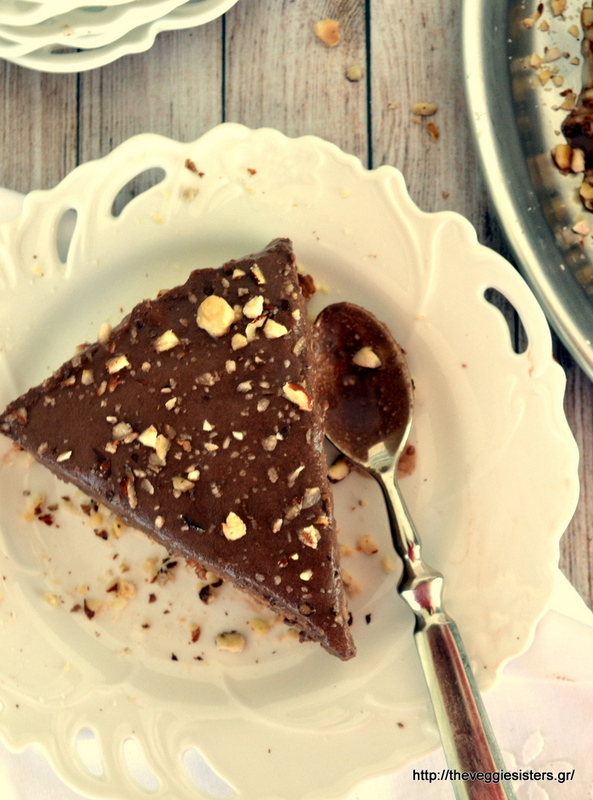 Pour melted chocolate in the hazelnut mixture and fold in. Spread the filling over the cold crust and put the cake back in the fridge. In a bοwl combine all the ingredients and whisk well. Pour the frosting over the cake and spread it evenly with a spatula. Garnish with hazelnuts and refridgerate. Allow the cake to set before serving (overnight). 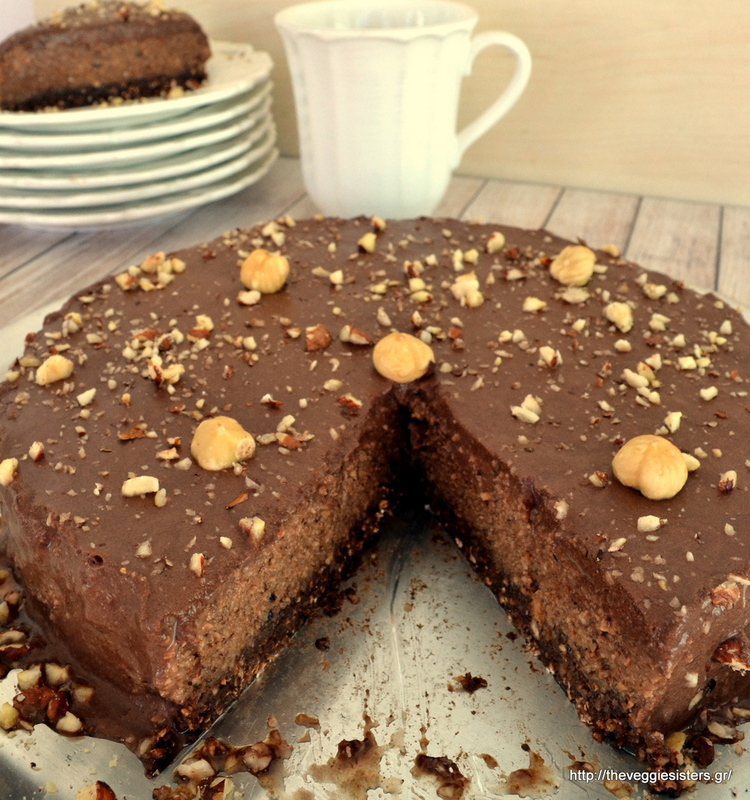 Be patient and enjoy a huge slice the next day! You deserve it! 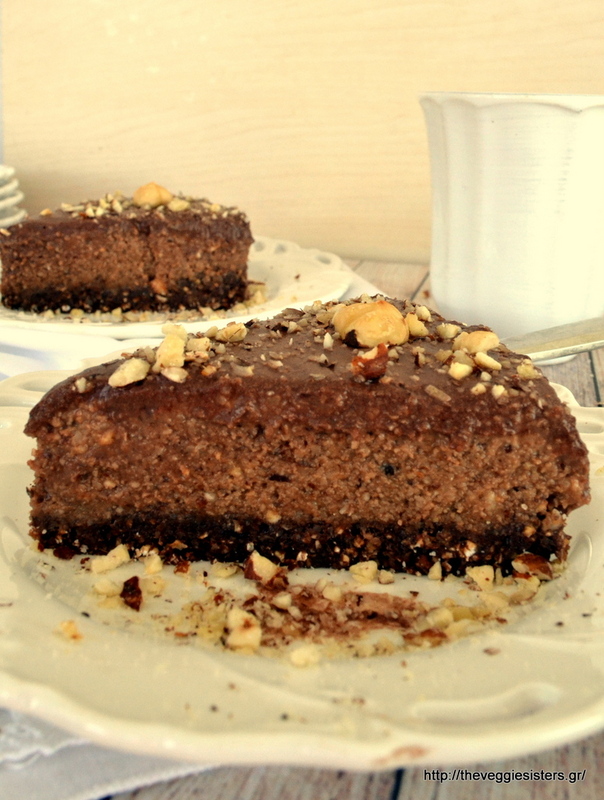 Share the post "Vegan chocolate hazelnut cake"